This is hardly a shock - if Gatorade, Nike and Gillette aren't running from Tiger Woods, in light of his philandering, why would EA Sports? The publisher released a statement standing by the namesake of its golf franchise. Our strong relationship with Tiger for more than a decade remains unchanged. We respect Tiger's privacy, we wish him a fast recovery and we look forward to seeing him back on the golf course. Of course, this would be different had he hit her with a fairway metal. 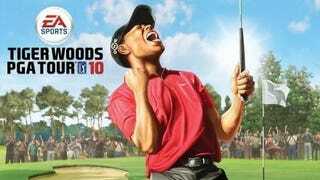 But the truth is, it would seem EA Sports needs Tiger more than he needs it. Who else would they find with even half the star power? Going back five years, the most famous Majors winners not named Woods are Phil Mickelson, Vijay Singh, Padraig Harrington and Retief Goosen. Hell, you'd probably sell more with Lee Carvallo.